"We are thrilled with the honor of the award for one of our science fiction novels," said Paul Garver, Co-founder of Geminid Press. 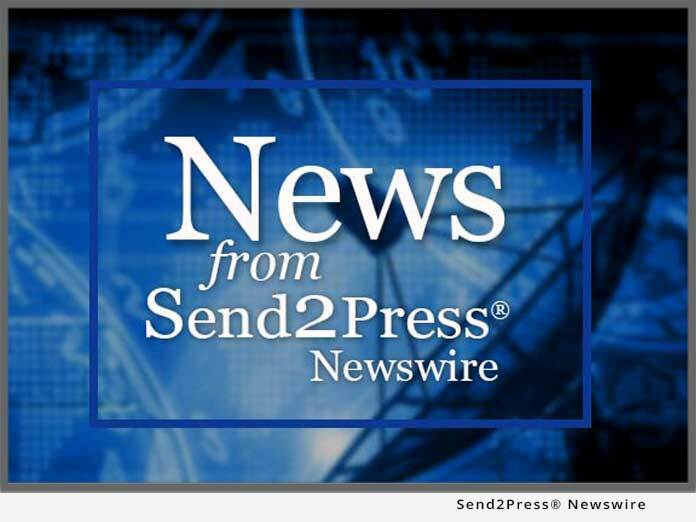 ALBUQUERQUE, N.M., June 30, 2015 (SEND2PRESS NEWSWIRE) — Geminid Press, LLC, an independent book publisher, announces the debut science fiction conspiracy thriller, “Truth Insurrected: The Saint Mary Project” (ISBN: 9780990737100), authored by Daniel P. Douglas, has won an Honorable Mention in the science fiction category of Foreword Reviews’ 2014 INDIEFAB Book of the Year Awards. The awards, which were judged by a select group of librarians and booksellers from around the country, were announced on June 26, 2015 at the American Library Association Annual Conference in San Francisco, Calif. Representing hundreds of independent and university presses of all sizes, INDIEFAB winners were selected after months of editorial deliberation with more than 1,500 entries in 63 categories. The winners represent the best work coming from today’s indie authors and publishers. 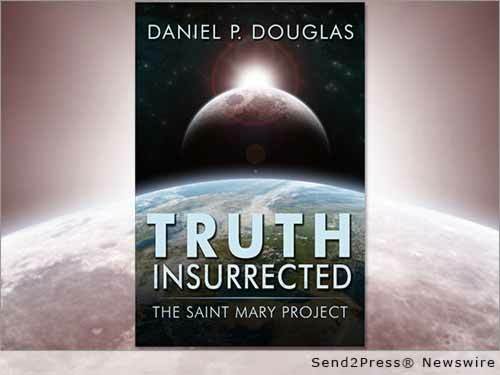 In “Truth Insurrected: The Saint Mary Project,” readers plunge into a sci-fi conspiracy storyline featuring former FBI agent William Harrison, a reluctant but admirable hero who finds himself hot on the trail of a major extraterrestrial cover-up. “Truth Insurrected” has also garnered Douglas accolades from BestThrillers.com, which listed him in April 2015 as one of 2015’s Best New Mystery and Thriller Genre Writers. Geminid Press also recently announced the release of Douglas’ latest science fiction adventure book, “The Outworlds: War Torrent” (ISBN: 9780692450048 eISBN: 9780990737193), which is the first in a series. In “War Torrent,” ancient reptilian aliens clash in a war that is the start of a new interstellar crusade orchestrated by evil ethereal entities whose intent is radical genetic purification of the galaxy, and Earth’s Stone Age humans are their next target. The science fiction book draws on the mystery of ancient aliens, in particular, reptilian humanoids, and related conspiracy theories about their alleged, past involvement with humans and possible engineering of our genes. Geminid Press, LLC (http://geminidpress.com) is an independent book publisher established in Albuquerque, New Mexico in August 2014. Inspiration for the company’s name originates with the Geminid meteor shower, which is visible in December, radiates from the Gemini Constellation, and intensifies every year. The owners of Geminid Press also happen to be identical twins born under the sign of Gemini. The company’s mission is to publish quality fiction and non-fiction books of up and coming writers, and has already published science fiction and urban fantasy books, as well as a children’s book. Daniel P. Douglas is a U.S. Army veteran who has also served as a senior analyst in the U.S. intelligence community. A long-term civil servant, with degrees in Political Science and Russian Area Studies, Douglas has also worked in the museum profession. As an author, Douglas creates epic tales – of the past, present, and future – with the most unlikely of heroes, and calls upon them to join extraordinary and mysterious struggles. His characters’ sometimes-reluctant choices and actions put them on a collision course with destiny and reveal unimaginable truths. Learn more at: http://danielpdouglas.com/. Original Keywords: Daniel P. Douglas, INDIEFAB Book of the Year Awards, Paul Garver Geminid Press LLC Albuquerque New Mexico ALBUQUERQUE, N.M.
REFERENCES: Awards and Honors News, Daniel P. Douglas, INDIEFAB Book of the Year Awards, Paul Garver Geminid Press LLC Albuquerque New Mexico ALBUQUERQUE, N.M.